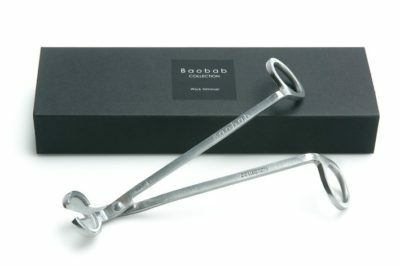 Baobab steel seal scissors to cut candle wicks. These steel seal scissors from Baobab are the perfect tool to keep you scented candle wicks in shape. 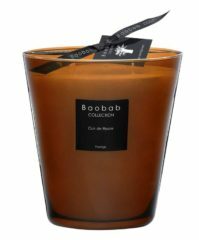 Baobab believe that for optimum burning every wick should be first cut before it is lit so that it does not exceed 1cm in length, the wicks should be cut from first use and after every burning. 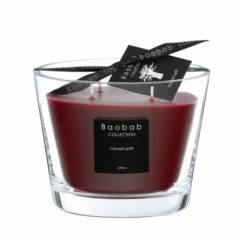 This elegant wick trimmer is embossed with the Baobab logo and is presented in a stylish black gift box, making it a wonderful present for any occasion. 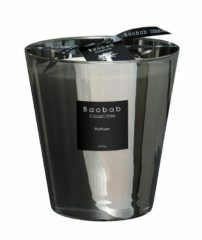 Baobab scented candles and lighters are also available.